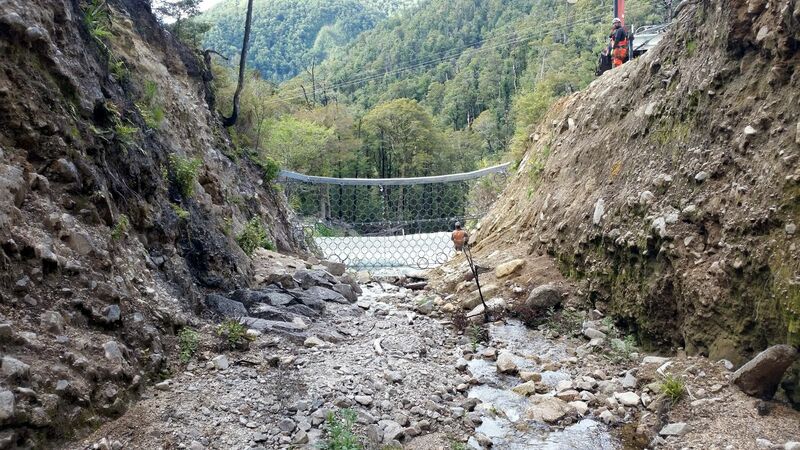 The highway at this location was damaged by a storm event in November 2012 which resulted in a significant debris flow event from above the highway. 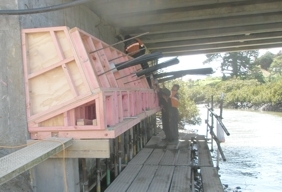 The original 900mm diameter culvert became blocked, causing inundation and partial failure of the highway embankment. 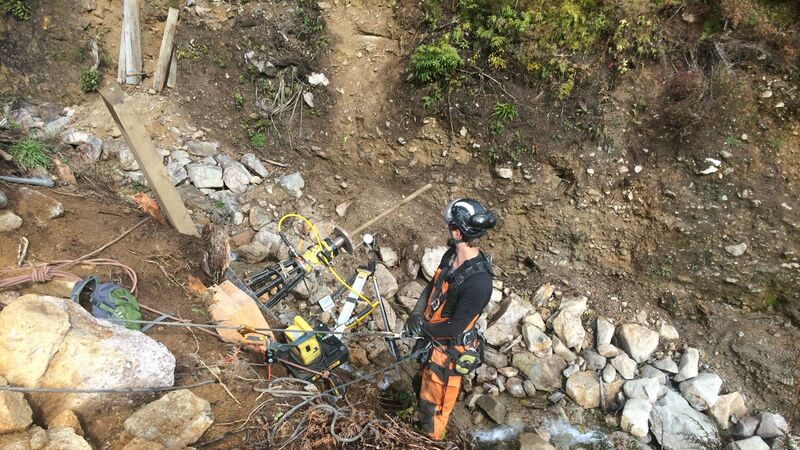 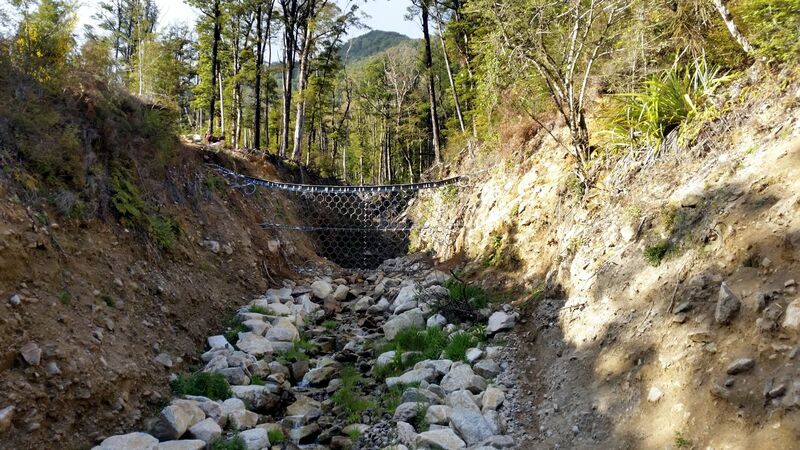 Several options were considered by NZTA’s Engineers to future proof the road from washing out again from debris flow events blocking the culverts and the Geobrugg VX80-H4 was specified. 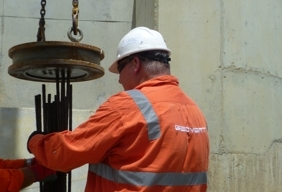 As the site was highly channelised the narrow post free VX system was used and was anchored heavily into both embankments using 8m long 40/16 Ischebeck anchors. 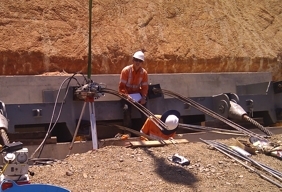 2 destructive tests were completed to prove the design then 7 anchors were installed into each embankment and tested to 350kN which was the design working load. 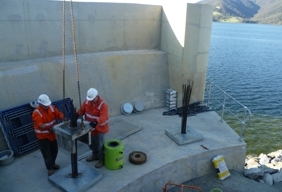 The barrier was then constructed by running and tensioning cables, installing breaking elements and handing the nets with a span width of 15m and an installation height of 9m. 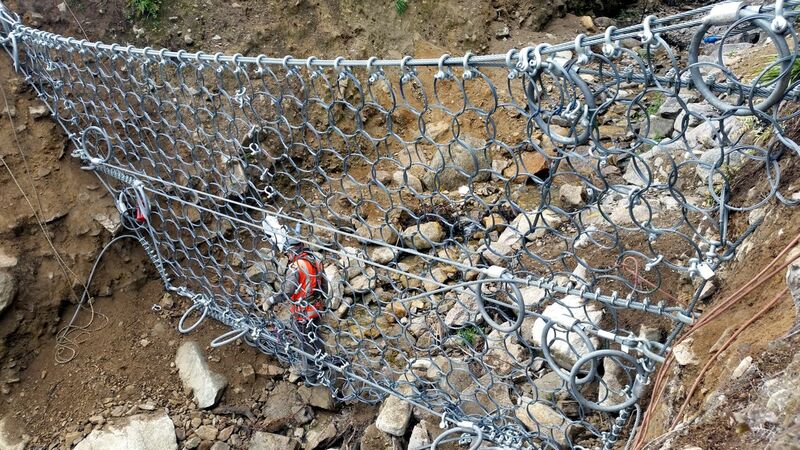 All works were completed safety and the barrier constructed 30m up from the side of the road but still visible for routine maintenance inspections. 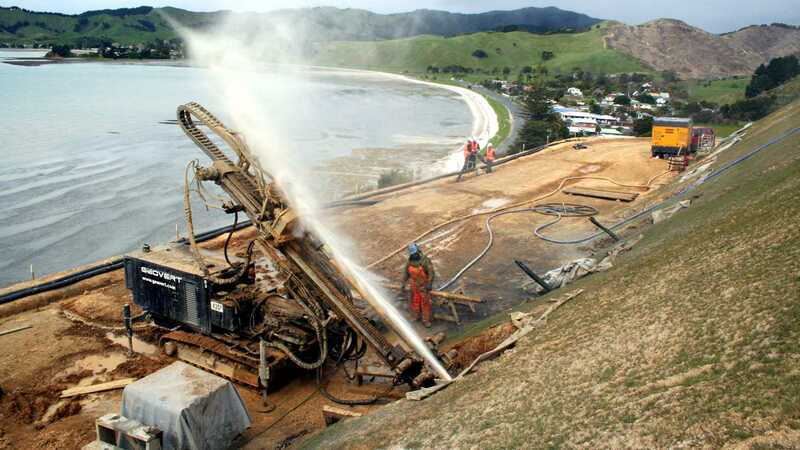 A track was cut by Geovert to allow for maintenance if required.